Improve understanding of ADA stakeholders’ need for and receipt of ADA Network Services. 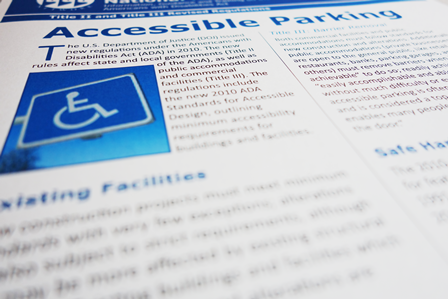 The ADAKTC develops centralized systems and conducts research to increase the efficiency and impact of the 10 regional ADA Centers that comprise the ADA National Network (ADANN). data management and knowledge translation research. The ADAKTC developed and supports the ADANN website (adata.org), which is designed to highlight the work of the ADANN and connect individuals and organizations to its services. The website includes nationally relevant publications created by the ADANN, a national and local events calendar, a portal to training opportunities offered by the ADANN, current ADA newsfeed, a searchable database of high quality publications created by relevant organizations (e.g., the Department of Justice), a searchable database of frequently asked questions (FAQs) about the ADA, and profiles on ADA research conducted by the ADANN. The website also includes monitoring and quality control features (feedback form, usage tracking). The ADAKTC manages and supports committees to guide ADANN activities and increase collaboration between regional centers. Committees are in place in the following areas: Website, Outcomes Measurement System, and Knowledge Translation. Committees work to guide development of products, determine need for training, and develop standard operating protocols. The ADAKTC coordinates development of ADANN products (consumer factsheets, booklets, promotional materials). The Center, in collaboration with the regional centers, develops new materials or modifies existing ones for national dissemination. A protocol is in place for annual review and updating of these products to ensure relevance and accuracy. ADANN products are available in accessible formats and Spanish. The ADAKTC engages in research projects such as a project that investigates the work of ADANN technical assistance specialists to better understand how they address ADA information requests and to guide service delivery improvements. Another project involves an analysis of data collected in the Outcomes Measurement System to describe how ADANN services supports ADA implementation. The final project evaluates the role of the ADAKTC as a knowledge translation platform, in order to evaluate what structures support knowledge translation and what barriers impede translating policy (ADA laws) into implementation. Research about the implementation of the ADA is fragmented and difficult to find. The ADAKTC supports awareness and use of ADA research by conducting systematic reviews and organizing an ADA State of the Science Conference. The ADAKTC is engaged in a five-year project to systematically review and translate existing ADA research findings and identify knowledge gaps; you can visit our National ADA Systematic Review page for more information. In May of this year, the ADAKTC will host a State of the Science conference on research about ADA implementation. Researchers from a wide range of disciplines related to implementation of the ADA will be invited to participate and findings from the ADA systematic review process will be presented. Another primary task of the ADAKTC has been to develop and implement centralized, efficient systems for collecting information about the work of the National Network to help understand the needs of ADA stakeholders (e.g., people with disabilities, business owners, architects, etc.) and to serve them better. Specifically, the ADAKTC manages the Outcome Measurement System (OMS), which collects information about the technical assistance, training, and other activities of the regional centers and supports implementation of an outcomes survey designed to measure ADA implementation. The ADAKTC provides quarterly reports of OMS and outcomes survey data to regional directors and NIDILRR.